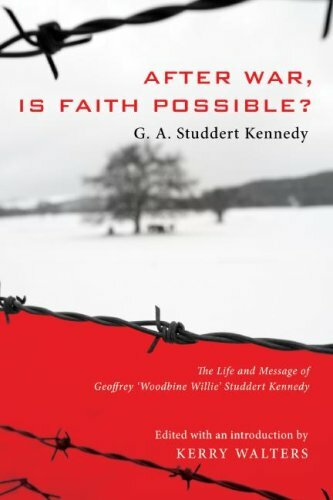 Geoffrey A. Studdert Kennedy, After War, Is Faith Possible? : The Life and Message of Geoffrey “Woodbine Willie” Studdert Kennedy (ed. Kerry Walters; Eugene: Cascade, 2008). xii + 225 pages. ISBN: 978-1-55635-379-6. Review copy courtesy of Wipf and Stock. One the real delights of my research into the thought of PT Forsyth has been revisiting, and in some cases discovering for the first time, others who were writing around the same time, and often of the same events. To re-read James Denney, or James Baldwin Brown, or FD Maurice, is one of the best ways one could spend a month … or two. Another giant personality to add to that list would have to be Geoffrey A. Studdert Kennedy, better known as ‘Woodbine Willie’. (I posted on ) My copies of Studdert Kennedy’s work, which are all over 90 years old, form a truly valuable part of my library and one to which I return not infrequently. Collected Poetry (London: Hodder & Stoughton, 1927), The Hardest Part (London: Hodder & Stoughton, 1918), I Believe: Sermons on the Apostles Creed (New York: George H. Doran, 1921), Rough Rhymes of a Padre (Toronto: Hodder & Stoughton, 1918) and The Wicket Gate, or Plain Bread (London: Hodder & Stoughton, 1923) all constitute exceptional reading. And so I was absolutely delighted to discover that Wipf & Stock decided to republish some Woodbine Willie excerpts, all well chosen and just enough to plant an appetite in those who will no doubt want to hear more from ‘the bloody parson!’ (p. 12). The collection was edited by Kerry Walters, who also contributed a very fine introduction on Studdert Kennedy’s life and message, and a helpful bibliography of the primary and secondary literature. 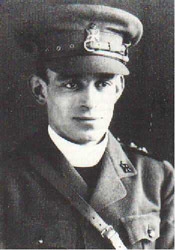 This WWI padre was, of course, one of the best-known and most-loved Christian pacifists of the early twentieth century. Unlike those theological yuppies who defend pacifism on purely ideological grounds and over a café latte in Lygon Street – informed by the Gospel or otherwise – Woodbine Willie’s commitment to pacifism was birthed in the trenches alongside frightened men and their dead mates. In all that he wrote, a number of questions incessantly occupied his thought: ‘Given the insanity and brutality of war (‘the universal disaster’; p. 14), what must the God who allows it be like? (p. 13); How is evil to be gotten rid of? (p. 3); What sort of universe ought an honest person believe in? (p. 15). His answer to these questions eventually led to the conviction that God is not sadistic, or indifferent to the world’s evil. Neither is God ‘Almighty’ enough to prevent such evils: ‘I see no evidence anywhere in nature of the Almighty Potentate Who guides and governs all things with His rod, and knows no failure and thwarting of His Will’ (p. 81). What God does do, Woodbine Willie insists (in Moltmannesque manner), is to suffer with and alongside humanity. This is love’s character – not raw despotic power but entering into the sorrows of the beloved. War then, which is evil in its most acute form, is ‘the test case for determining if Christianity can cope with evil’ (p. 21). 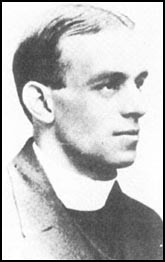 Geoffrey Studdert Kennedy speaking at Tredegar during an Industrial Christian Fellowship Crusade in 1928. I am not a pacifist (I’ve been too persuaded by Forsyth and Jüngel here), but reading Woodbine Willie continuously challenges me to ask myself whether I should be, whether our Lord’s command to ‘Love your enemies’ (Matt 5:44) really does, in Barth’s words, abolish ‘the whole exercise of force’. Either way, Barth is most certainly correct when he challenges: ‘In conformity with the New Testament, one can be pacifist not in principle but only in practice (praktisch Pazifist). But let everyone consider very carefully whether, being called to discipleship, it is possible to avoid – or permissible to neglect – becoming a practical pacifist!’ (Church Dogmatics IV/2, 549-50). Studdart was a tough cookie, all right. Something of a universalist too, if I read at least one of his poems correctly. I’ve got a couple of his books, and they don’t make for easy reading in terms of sleeping comfortably at night!